You are here: Home > Blog > Brussels or Bruges for a Cheap Weekend Break? As an initial guide, Brussels is the place to go if you’re attracted by city lights. If you’re more suited to medieval charm, then you’ll be lured in by Bruges’ gothic inspirations and old-world feel. If you’re trying to decide where to base yourself for your weekend getaway, then here’s a guide to a few of the main attractions of both cities. Once a 10th century fortress town, Brussels is now a bustling metropolis that is home to the EU headquarters and is a hub of international politics. The city has managed to maintain its historic charm while offering all the mod cons of an international city. 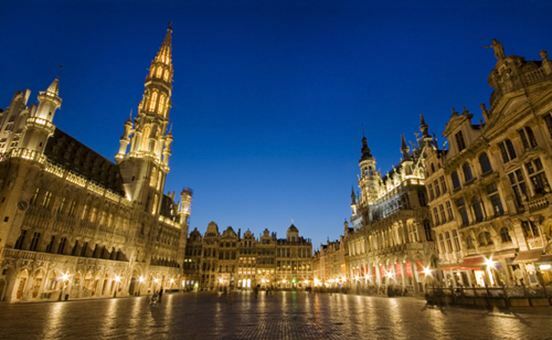 In Brussels, these are some of the attractions that await you. – The Grand Place – The Grand Place is Brussels’ main square. Not only is it a UNESCO heritage site, but it’s also been voted the most beautiful square in Europe. The baroque frames of the guildhalls border the square and add to its splendour. If you’re there in August you might catch the flower carpet, when the square’s floor is covered with begonias. – Manneken Pis – One of the cutest and quirkiest attractions of the city, Manneken Pis is a small bronze statue of a young boy who is urinating into the fountain’s basin. The Friends of Manneken-Pis, a non-profit organisation, dress the statue in different costumes a couple of times a week. – Atomium – The Atomium is an impressive monument in Brussels that was originally built for the World Fair of 1958. The monument is made up of 9 connected steel spheres in the shape of a cell of iron crystal. Inside the connectors of the spheres are escalators. The public can move between the spheres. The top sphere offers panoramic views of Brussels. – Museums – There are a number of museums well worth a visit in Brussels. The Centre for Fine Arts houses the works of highly regarded Flemish painters. The Belgian Comic Strip Centre is a fun museum that showcases the Belgian love of comics (it is home to Tintin after all!) If your trip to Belgium is all about the chocolate, then head to the Museum of Chocolate and Cocoa – just a stone’s throw from the Grand Place. – Breweries – Belgians love their beer and there are a number of breweries in Brussels well worth a visit. The Cantillon Brewery gets great reviews. The Hollywood blockbuster In Bruges was a great advertisement for the city, but to experience the historic charm and quaint architecture for yourself, you’ll have to hit the streets. Strolling through the city on foot is the best way to discover its nooks and crannies. You’ll probably come across these main attractions. – The Canals – Bruges is often nicknamed ‘Venice of the North’. The canals are the focus of the city and give it a picturesque, chocolate box quality. Take a canal tour by boat and make sure you see them by night. – Markt Square – This is the heart of Bruges’ Old Town and the main square. It’s surrounded by bustling shops and restaurants and holds markets, an icerink and impromptu concerts. The Belfry sits at the southern end of the square and can be climbed for spectacular views of the city. – The Burg – Another town square, the Burg is surrounded by historic buildings and has a distinct medieval feel. The intricate detailing of the buildings and the gothic architecture is best seen when illuminated at night. – Church of our Lady – This 13th century church has a 122 metre high bell tower. The art, architecture and style of the church can be admired inside and out. – Museums – History buffs will enjoy a visit to the Groeningemuseum and the Memling, featuring many of the finest Flemish artists’ work. Have you been to Belgium? Would you recommend Bruges or Brussels for a weekend getaway destination?